Al Hirt was flying high in 1964. 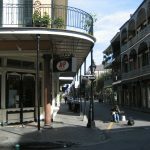 He had two albums climbing the charts and a hit single, “Java,” (an instrumental composed by Allen Toussaint) being hummed across the country. 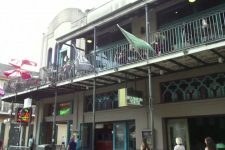 He also took over Dan’s Pier 600, the club at 501 Bourbon Street where he’d been a featured performer. 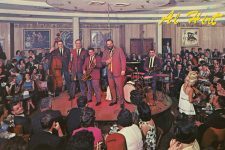 He updated the place, installing a revolving stage in the middle of the room, and reopened it as Al Hirt’s Club, the city’s “smartest nightclub.” He resumed his regular performances and, when he went on tour, big names in jazz like Cannonball Adderley, Dizzy Gillespie, and Lionel Hampton headlined. Hirt, nicknamed “Jumbo” for his musical prowess as well as hefty frame, was a prodigiously talented trumpeter. After working with Benny Goodman, Tommy Dorsey and other big bands in the 1940s, he returned home to New Orleans and played alongside traditional jazz revivalists like his friend Pete Fountain. 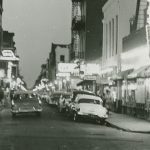 Still, Hirt, who was conservatory-trained, considered himself “a pop commercial musician” as opposed to a jazz artist. He had a point. 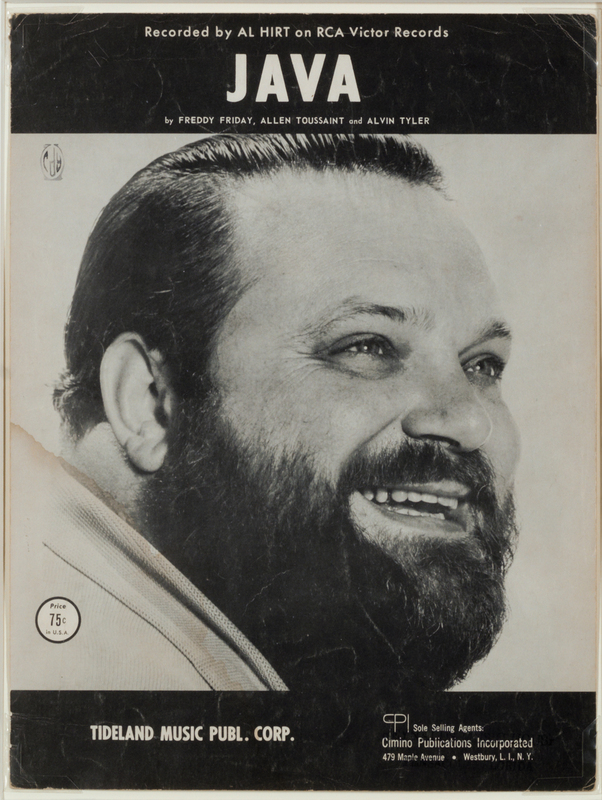 He charted with dozens of albums in a variety of musical bags. In addition to “Java,” which went gold and earned him a Grammy, he hit the singles chart with “Cotton Candy” and played the theme song for “The Green Hornet.” He played Las Vegas and appeared on Dinah Shore’s TV show. 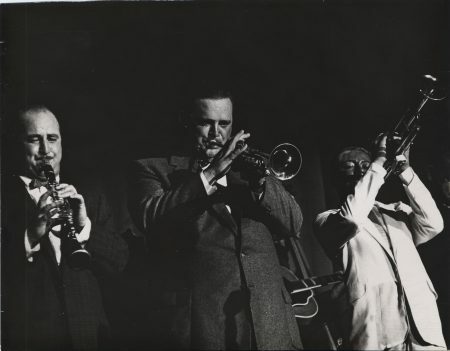 He attained a remarkable level of cultural currency for an instrumentalist, performing at President John F. Kennedy’s inauguration and for Pope John Paul II’s visit to New Orleans in 1987 (the latter of which Hirt considered the most important engagement of his career). 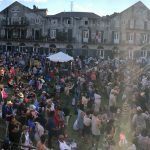 He also owned a piece of the New Orleans Saints football team when it formed, and secured his place in trivia contests for all time by playing the halftime show for the first Super Bowl in 1967. Hirt closed the club in disgust in 1983, complaining that the strip had gotten too “rowdy.” He didn’t stay away for long, though. 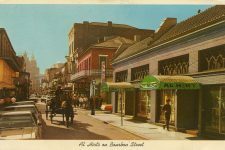 Associates of his reopened the club at 501 Bourbon as Jelly Roll’s, and he performed there until his death in 1999. His statue now overlooks the strip from Legends Park at 311 Bourbon Street. 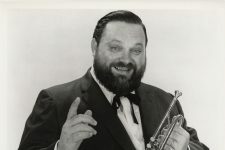 Al Hirt performing "Java," the Allen Toussaint tune, on The Ed Sullivan Show in 1963. His recording of the song won a Grammy the following year. 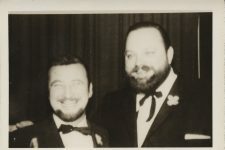 Al Hirt on The Johnny Cash Show. 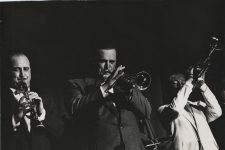 The Al Hirt Band playing a medley of hits in the spring of 1987 at the West Virginia Jazz Festival in Charleston, WV. Video from WPBY-TV, West Virginia Public Broadcasting. 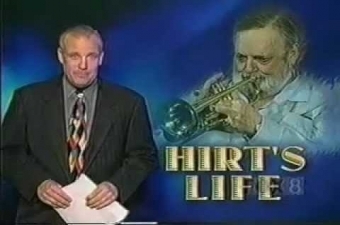 News coverage of the passing of Al Hirt in 1999, including remembrances by Chris Owens, Pete Fountain, and Allen Toussaint. 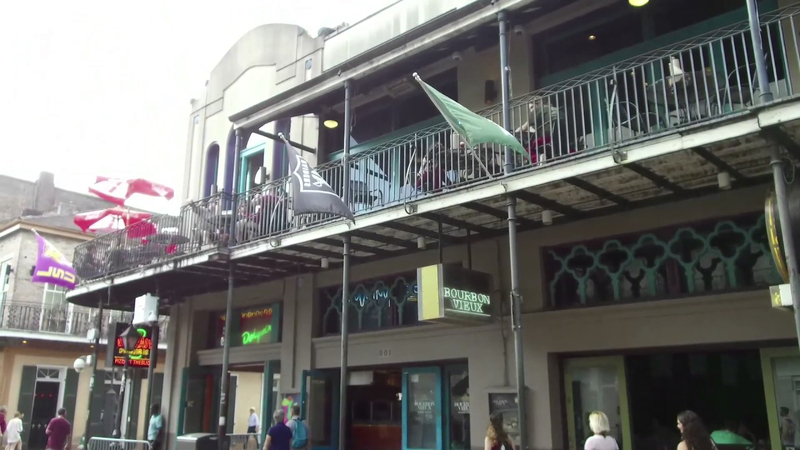 Video from Fox 8 in New Orleans. Site of Al Hirt's club on Bourbon Street in 2016. Still from a video by Kevin McCaffrey. 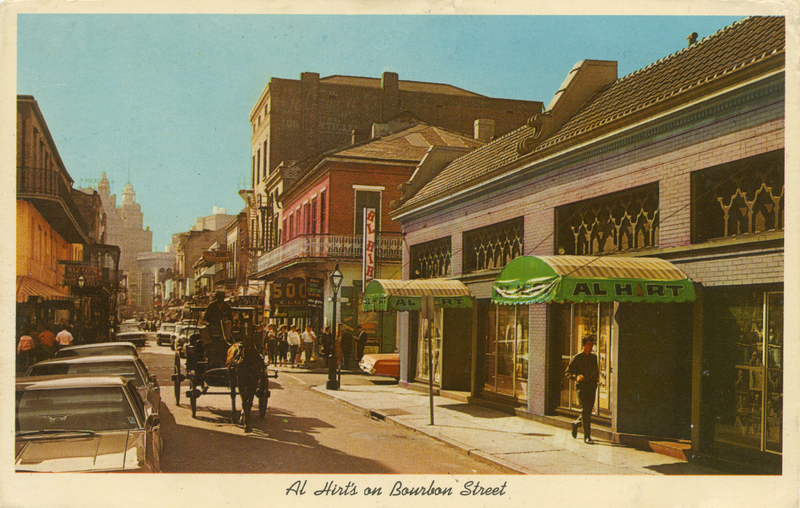 Al Hirt’s on Bourbon Street postcard circa 1970. Pete Fountain (clarinet), Al Hirt (trumpet), Warren Luening (trumpet) at Dixieland Jubilee Shrine Auditorium. From the collection of Dr. Edmond Souchon. 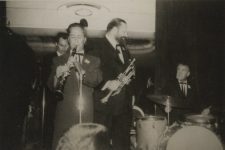 Al Hirt (trumpet) with band on bandstand. 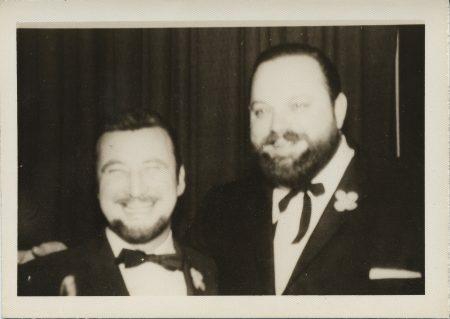 Pete Fountain (1930-2016) and Al Hirt (1922-1999). 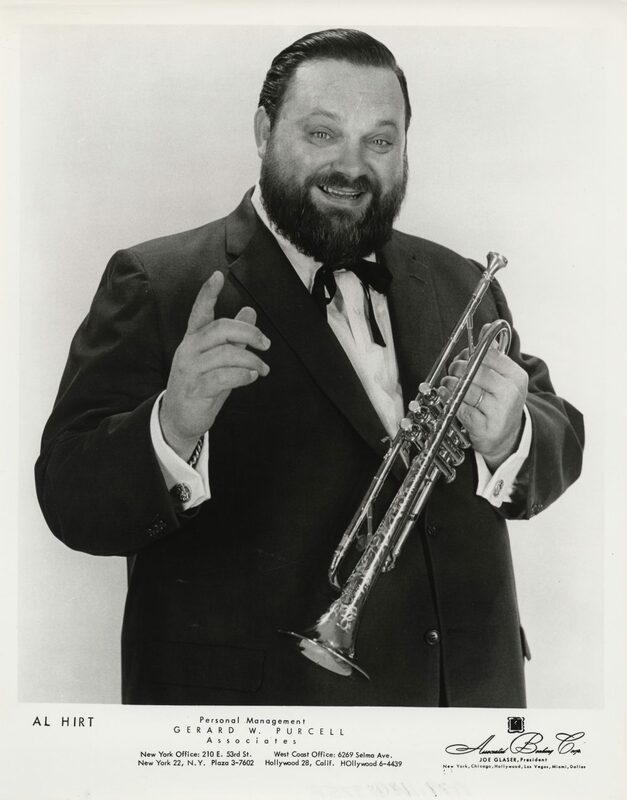 Publicity photo of Al Hirt. 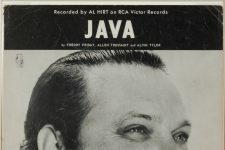 Sheet music for “Java” by Al Hirt circa 1963. 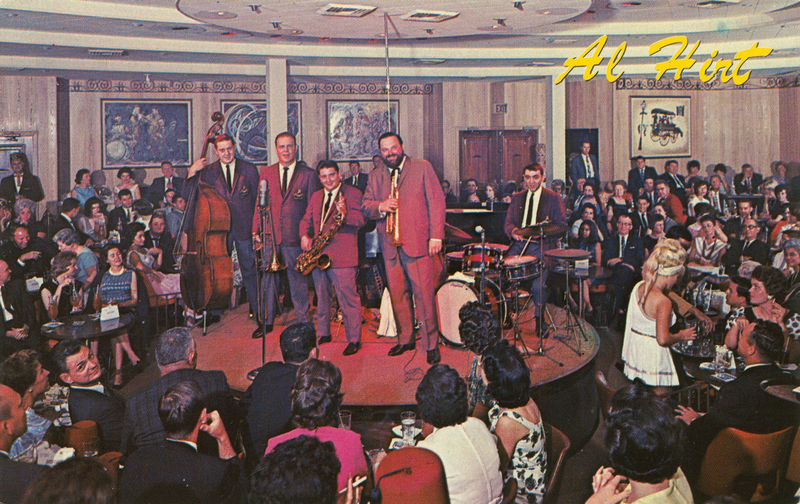 Al Hirt postcard circa 1965.